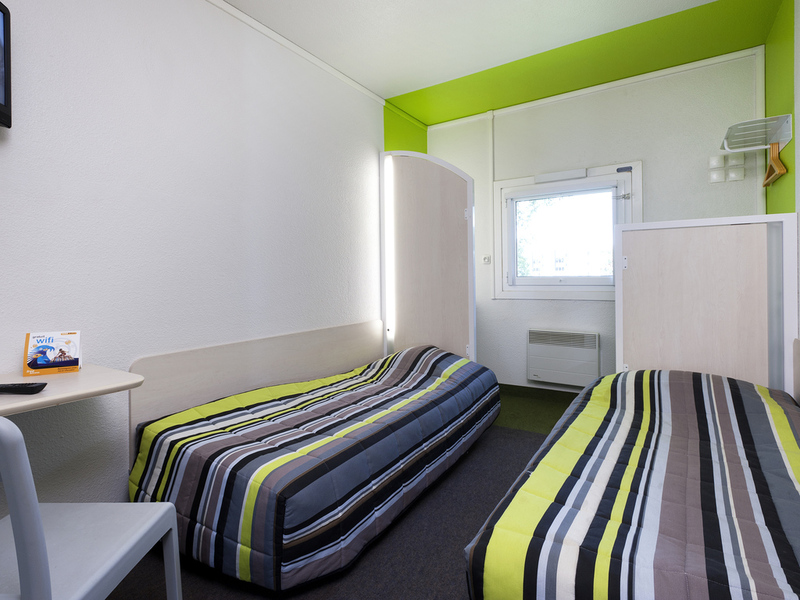 Whether for business or leisure, our hotelF1 is open 7 days a week, next to the A10 highway, 15 minutes from the SNCF train station and 5 minutes from Tours Airport. Low-cost rates with free car park and WIFI. Unlimited buffet breakfast. DUO or TRIO rooms , shower and toilet area outside the room with hair dryer. The hotel is located in the heart of the Loire Valley.